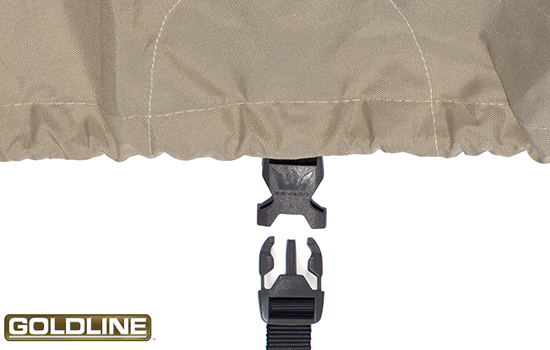 Full height rear zipper for easy installation and access to rear of cart while covered. 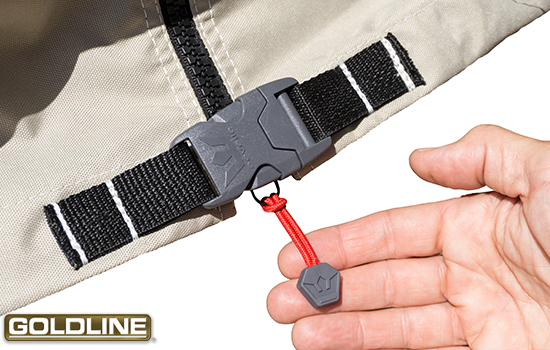 Heavy duty weather proof zipper with zipper pulls for ease of use and durability. Built in vent system promote air circulation to reduce heat and moisture build up. 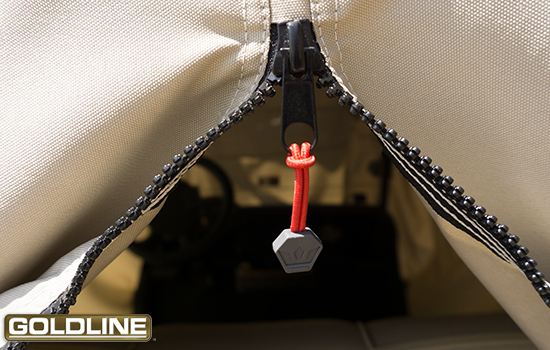 Heavy duty buckle closure at the bottom of the zipper ensures the cover stays closed and in place. Handy buckle and strap system allows user to put a strap under the cart to hold the cover in place in windy conditions. 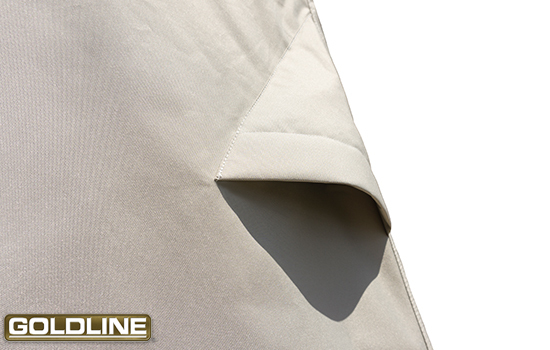 Built in shock cord hem promotes a snug, custom like fit. 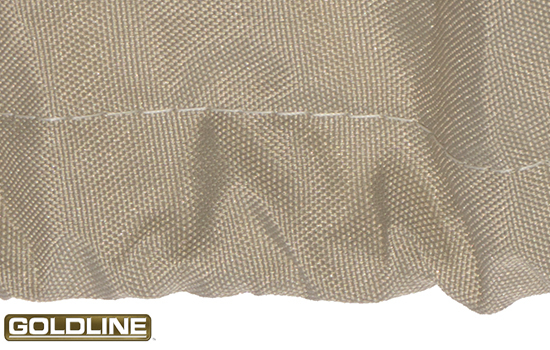 Quality stitching using marine grade thread ensuring long life in all conditions. Look for the Eevelle brand. Your assurance of quality and performance. 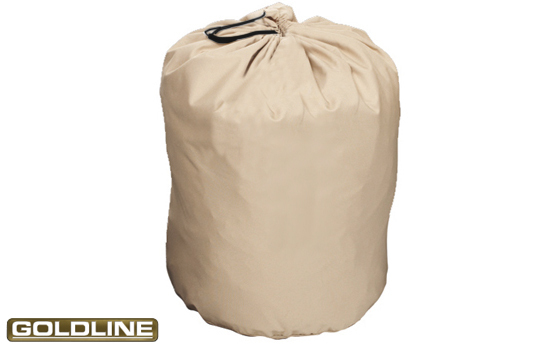 Product includes a handy matching storage bag for stowing the cover when not in use. 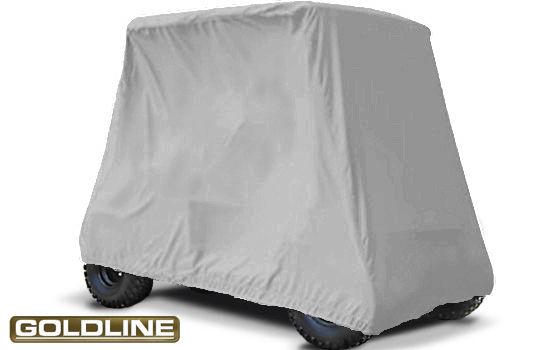 GOLDLINE 4x4 EXTRA TALL GOLF CART COVERS BY EEVELLE - Heavy Duty Boat Cover Material / This is the strongest cover made! 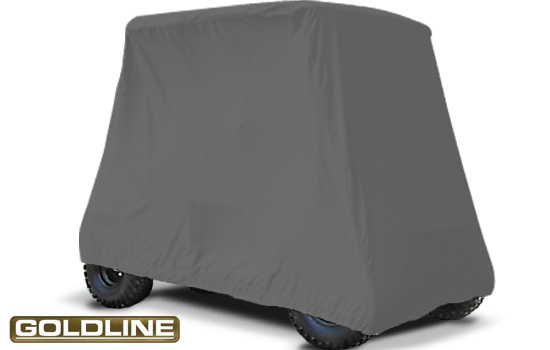 The Goldline extra tall cover is designed especially for lifted and/or 4x4 carts with larger wheels. The extra height of this cover allows for full coverage of the cart and wheels. 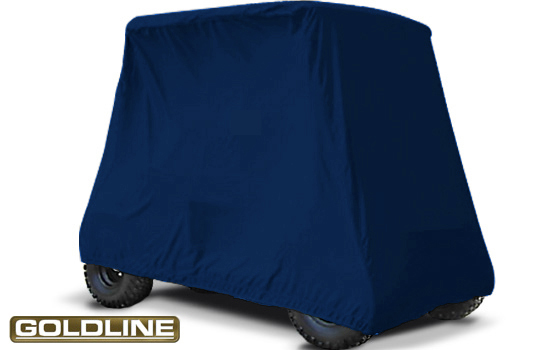 Goldline golf cart covers are designed to satisfy even the most discriminating customers because they are simply the best storage covers on the market today. Precision design and expert tailoring with the finest materials make this a high end golf cart cover that is as durable as it is beautiful. 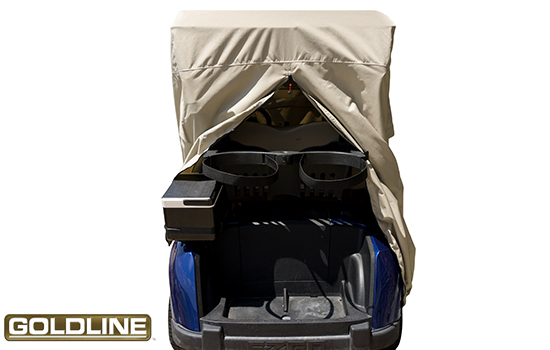 You are sure to find the perfect cover for your cart with a wide range of rich color options to choose from. 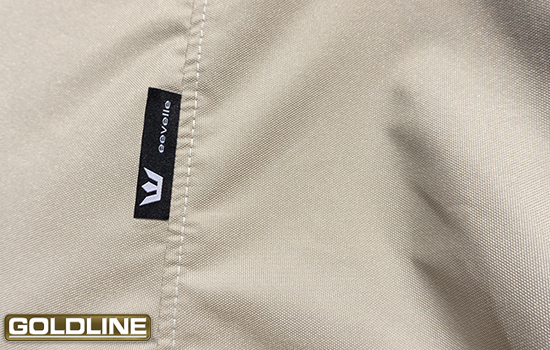 Our Tru-Weave fabric is a heavy-duty marine grade 7 oz. woven true loom-woven Polyester constructed of Solution Dyed 600 denier filament polyester yarns and 99 thread count. 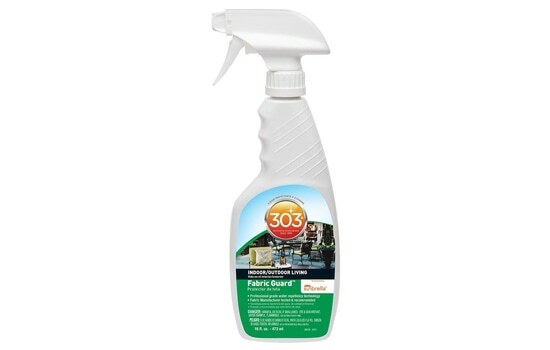 It is coated with a water repellent as well as UV inhibitor and Anti-Microbial finish to make it UV and mildew resistant. 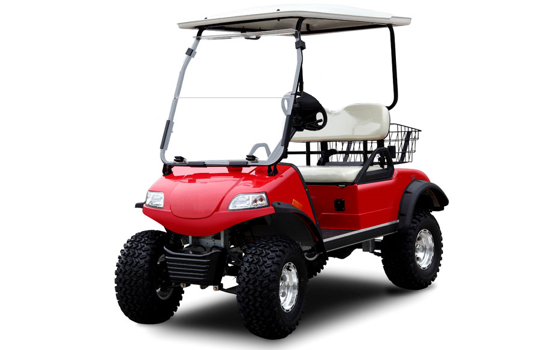 The result is an incredibly strong, yet flexible and breathable product that will provide protection for your golf cart for many years to come. Rear access zipper panel to allow easy access while cart is covered. Shipped Monday, received it Tuesday. Awesome!